I've always found film critic Roger Ebert to be a tremendously engaging writer when he's in his element (film, primarily). This is why I get particularly annoyed that he turns into a reactionary curmudgeon whenever anyone suggests that games are also a form of art, even when (by his own admission) he's wholly unfamiliar with the subject. I expected gamers would react to his latest uninformed salvo, but what I didn't expect is the responses (the printed ones, at least) to be by and large so lucid and articulate. The key issue, I think, is the difference between freedom and liberty. Sure, there's no art in freedom -- in being able to do anything you want at any time. Liberty, though -- an allowance of choice, within a limited scope of options -- now we're getting somewhere. Especially if, within that narrow web, there is real, meaningful consequence to every action. 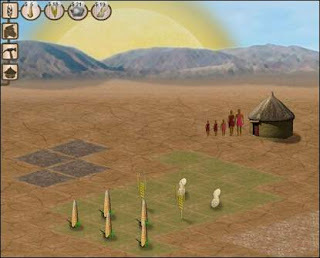 More than one writer points to independent games as examples of the medium's promise as an artform, including the Danish simulation 3rd World Farmer. (Some may take issue with the mention of a certain notorious RPG Maker game, however.) I doubt any amount of discussion will change Ebert's mind -- he appears too insistent on judging the medium by means of contrast to others with which he's more comfortable -- but it's nice to see such intelligent defenses out in front of the general public browsing his site.